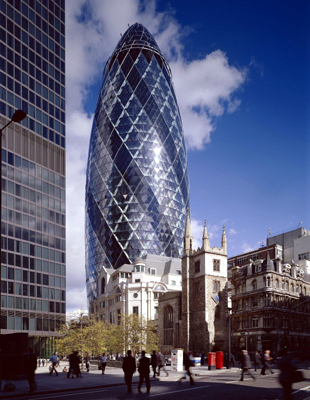 Affectionately known as "The Gherkin", this iconic building is one of the City's most unique and prestigious landmarks. 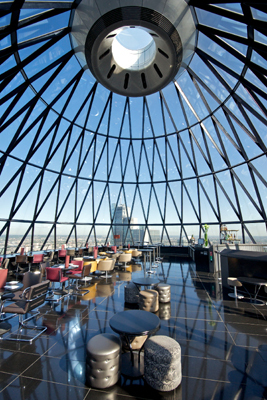 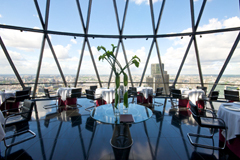 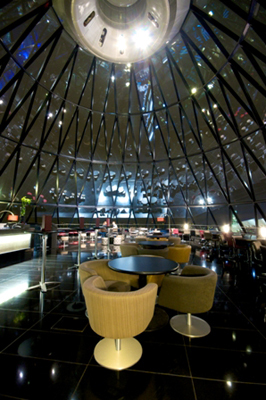 Designed by Foster and Partners, the glass dome at the top of 30 St Mary Axe boasts a two - level restaurant and bar area with stunning 360 degree panoramic views as far as the eye can see. 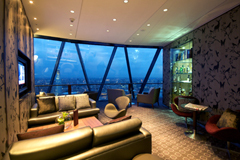 Searcys have operated the top three floors since the building opened, offering five star service, catering to our tenants, members and event clients.